Chatbuzzy.com is a site which includes 6 languages right now to chat online. It's main page is German, so you can search German people and people from Germany at Chatbuzzy. When you enter, you can see select your language; for example click "English" below. You also can choose "text chat", "games", "video" and "radio" above added. Just enter chatbuzzy and start chatting without registration; it's a site like chatroulette; may be camzap alternative. 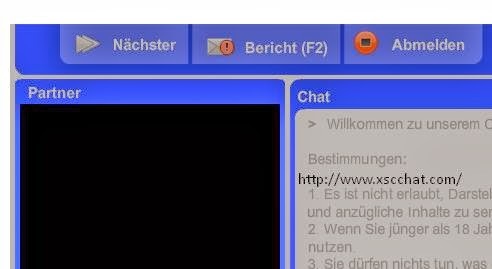 As you see in Image, it's a "German chat" site in which you can random chat with people from Germany. If you cclick to "Text chat", which is just top of the video chat, You can text chat with random users if you don't have camera or if you just want it. Chatbuzzy is also in Spanish, French, Russian, Italian and also English; you can choose any language just at footer of Chatbuzzy.